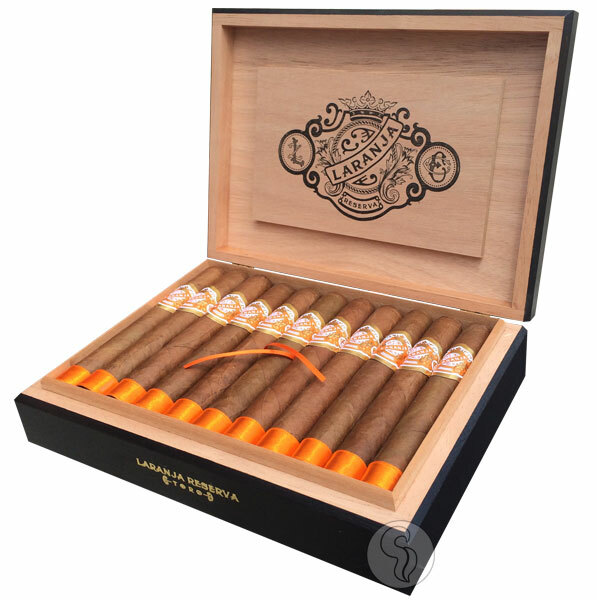 Laranja Reserva Espinosa Premium Cigars is best known for their 601 cigars, an affordable line of full-flavored cigars. But with Espinosa's newest creation, they've truly entered into the range of premium, high-end cigars. With the new Laranja Reserva, Espinosa has procured a lush, Brazilian Laranja wrapper. Complex and aromatic, this special wrapper is the centerpiece of the new cigar, accompanied by Nicaraguan binder and fillers. A blazing bright orange, gold, and white band and supporting silk footer bring forth the rich, orange hue of the Laranja's golden-orange wrapper, making for a striking appearance. From its look, to the delicate and complex flavors of cedar, citrus, cinnamon, honey, and spice - this is a cigar that stacks up against the top players in the industry.